We can offer a full project management service on every project. We can cover all aspects from initial design, including dealing with the local authorities (planning applications/building regulations), all health and safety issues through to the build and completed project. Our workforce can ensure every aspect of work from construction to landscaping can be undertaken within the company. Timberstyle Joinery & Construction Ltd is a quality and competitive company with a name you can trust. Timberstyle Joinery & Construction Ltd have carried out work on a number a residential and commercial projects, ranging from replacement windows to a individually designed new homes. We offer a comprehensive service from start to finish. 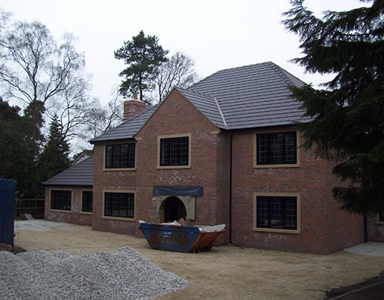 Some of the work we can undertake includes; Full project management, We cover all aspects from the design, Dealings with Local Authorities (planning applications/building regulations), Develop unused space of a room, Professional loft conversion, Extensions, New Builds, Fitted Kitchens, Oak Frame Buildings, Timber, Aluminium & UPVC windows, All building work undertaken. Let us personalize a project to suit your exact needs! 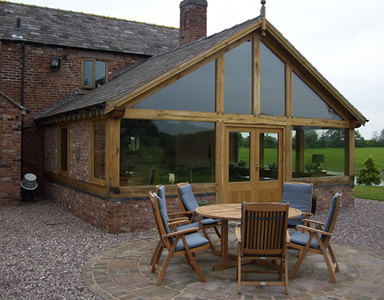 Timberstyle Joinery & Construction Ltd is firmly established as a efficient and trusted company working within Cheshire and North Staffordshire. We offer a complete range of services for every building refurbishment or development. Having 20 years experience in the construction sector make us the ideal company to choose. We pride ourselves on quality work carried out efficiently at a reasonable cost. Our family run business offers a customer focused ethos. Call today for a no obligation home visit where we discuss your requirements and give you a quote. Some of the suppliers we use and the organisations we are members of.